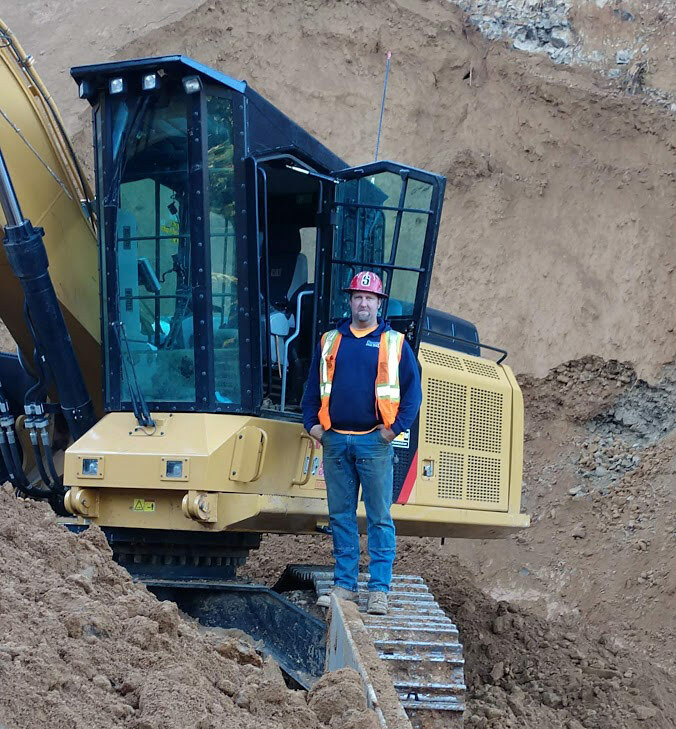 Nick Schmunk - Siegmund Excavation & Construction, Inc.
Nick Schmunk started playing with heavy equipment when he was a kid. He spent his teen years helping his aunt & uncle with their hunting and fishing guide service in Alaska, and eventually started operating equipment full-time when he was about 19 years old. At age 25, Nick transitioned into the cell tower industry, doing a little bit of everything, including fabricating, warehouse, shipping/receiving, and erecting towers of all shapes and sizes like fake trees. By 2014, work in the cell tower industry began to slow down. Wanting to get back out in the woods, Nick began his career with Siegmund Excavation that October, running excavator and other equipment. Growing up, Nick played most all sports until mid-way through high school. From the age of 13, he spent his summers in Alaska. When he wasn’t working for his aunt & uncle, he spent his days roaming the town of Petersburg and the 31 miles of road on Mitkof Island, or taking a skiff to different islands to hike and fish. These days, Nick is a full-time dad to two daughters. Spending time with his girls is what Nick enjoys most. When he’s not watching them play sports, the trio can be found hunting, fishing or taking the old mud truck out wheeling.